When I was in school, history was one of my favorite subjects, but the way it was delivered was definitely not. How boring can teachers make history in school? Are you with me? 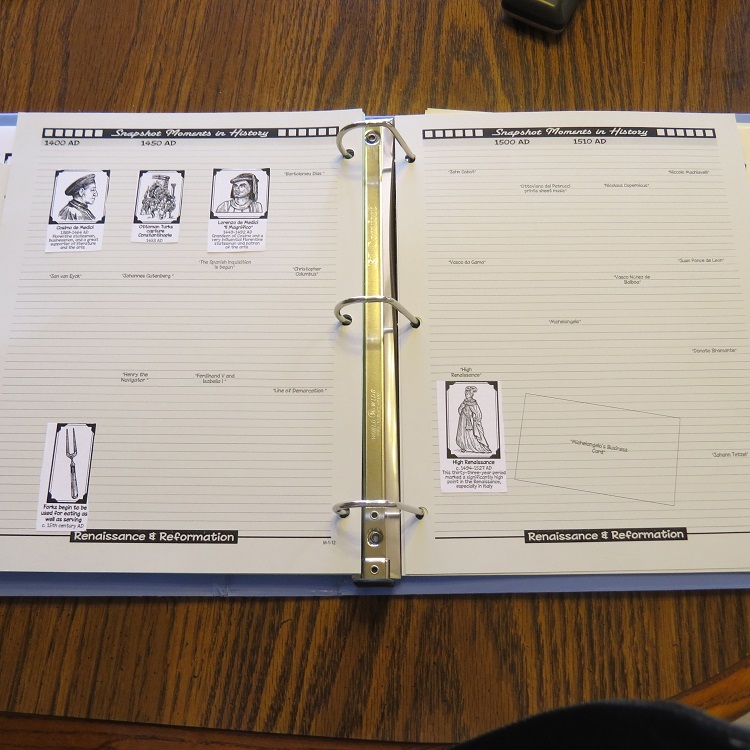 One of the things I like best about homeschooling is that there are so many great history curriculums that really bring history to life. 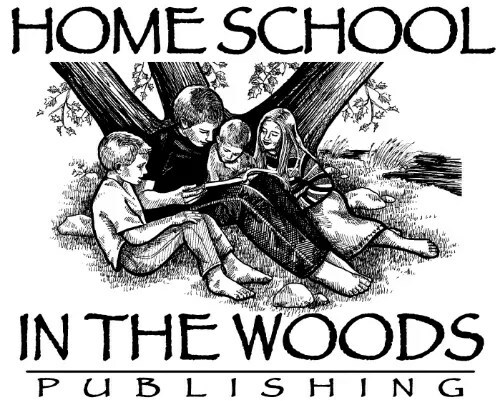 I’ve known of Home School in the Woods since I began homeschooling, but I hadn’t had a chance to try it yet. Luckily, thanks to the Crew, Bookworm and I were able to try Project Passport World History Study: Renaissance & Reformation. 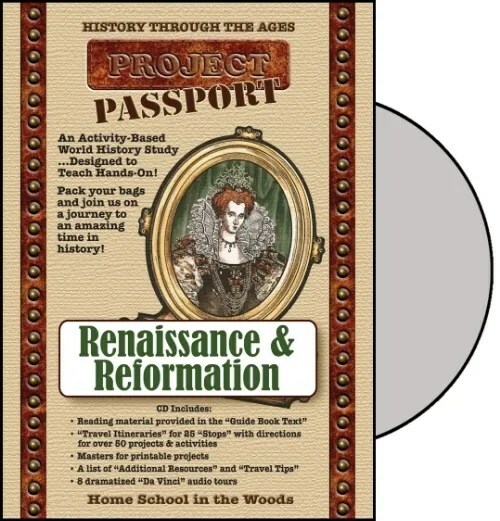 Project Passport World History Study lets your children “travel” through the time they’re studying in history. Some of Bookworm’s first assignments were to create a passport, a suitcase for his paperwork, etc. The Renaissance and Reformation curriculum has 25 stops (lessons), and each stop has approximately one to eight corresponding activities. In total, there are 50 projects and activities in this course. In addition, there is almost an hour of MP3 recordings. This curriculum is designed for kids in 3rd through 8th grade and is supposed to last 8 to 12 weeks, but that is highly variable. You and your children can choose how many activities to do for each stop, which will lengthen or shorten the amount of time you spend on the curriculum. Also, there is an additional resources section that gives non-fiction and fiction books your children can read to delve further into the topics as well as suggested DVDs, music, and audio books. I appreciated the company’s effort and sensitivity to the subject. Having said that, we didn’t get far enough in the course during this review period to get to the reformation. Bookworm worked on this course 20 to 30 minutes 4 days a week. We did most of the activities at each stop, so we only made it through the end of stop 4. Bookworm really enjoyed all of the hands-on activities and the many different activities he got to do from writing articles like a newspaper reporter to creating postcards, to using a timeline. I skipped some of the art activities, but we plan to go back to this curriculum next year and use it, so I’ll include those then. Honestly, I have mixed feelings on this curriculum. So many hands-on activities for kids. If your kids like hands-on learning, this is the curriculum for you. Each stop has several activities to do. There were so many good ones, that we did all of the ones we could feasibly do. Appeals to different learning styles. 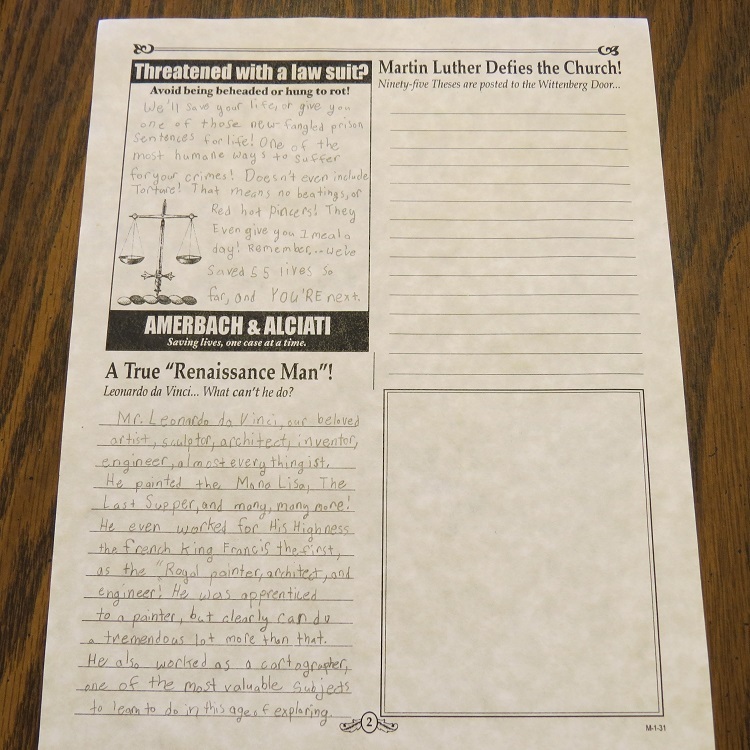 The activities range from writing a newspaper ad to putting together a menu to doing a timeline. Shows more of the everyday life of the Renaissance. 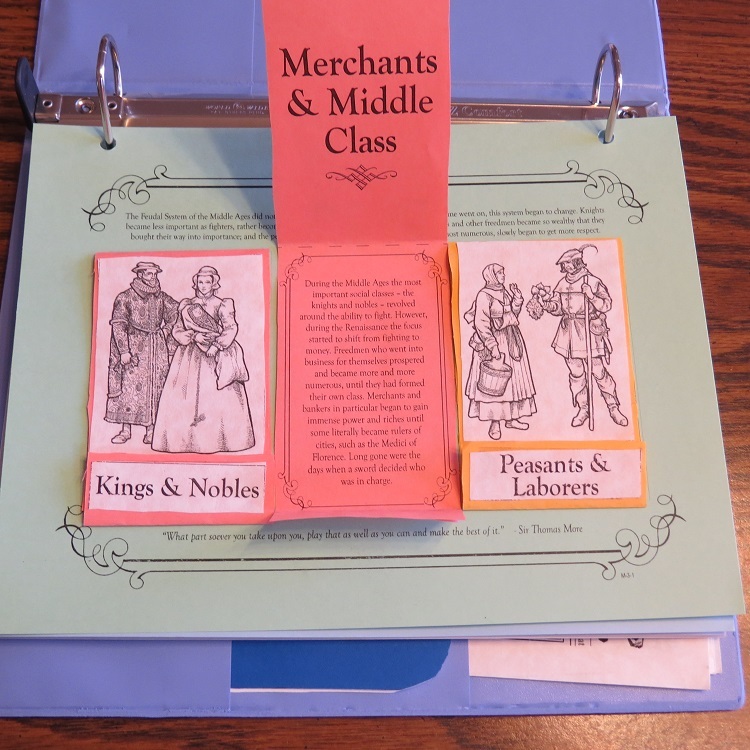 Unlike reading a dry textbook, kids doing this curriculum learn about every day life of the citizens and the royalty by reading stories about famous people and average citizens. Bookworm loved this. There are a lot of supplies to buy. While this product costs $33.95 for the digital download, that won’t be the end of your expenses. I had to buy quite a bit–colored card stock, colored paper, double-sided tape, just to name a few. Plus, there is a lot to print, so you may run through printer ink faster than normal. It is time consuming for the parents. Before every stop, I had to spend 30 minutes to one hour printing the material for the stop. This frequently involved printing on one side and then reading to see what to print on the other side. I just did the printing and let Bookworm do all of the cutting and assembling, but some parents choose to do all of the cutting so their children only need to do the assembly, which would take even longer. Having said all of that, I do plan to use this curriculum again. I think it’s an excellent way to bring history to life for kids. In fact, next year when we study ancient history, I plan to buy the Project Passport World History Study: Ancient Egypt for a supplement. 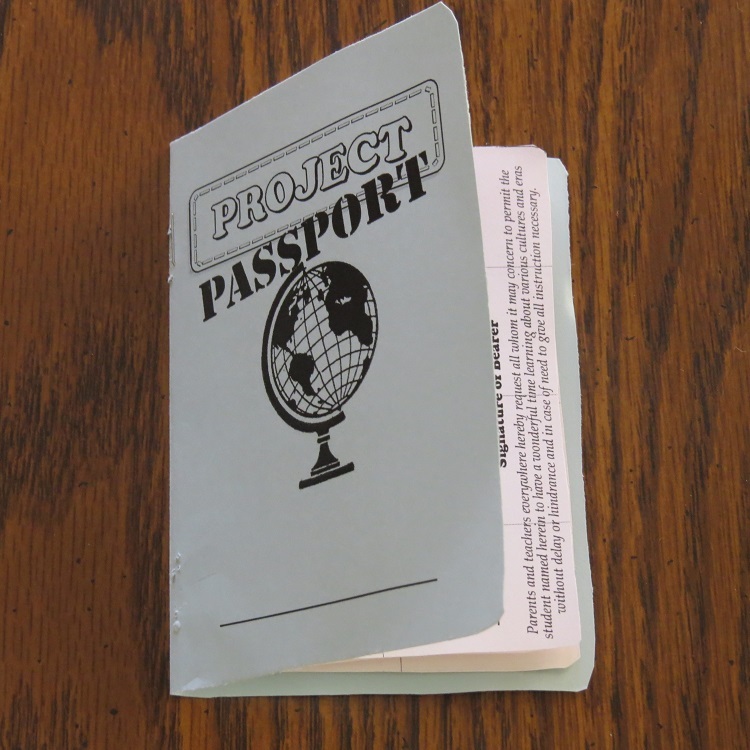 I was one of 100 reviewers to review three different types of Project Passport World History Study. (Ancient Egypt and The Middle Ages were the other two.) Click on the link below to read more reviews.